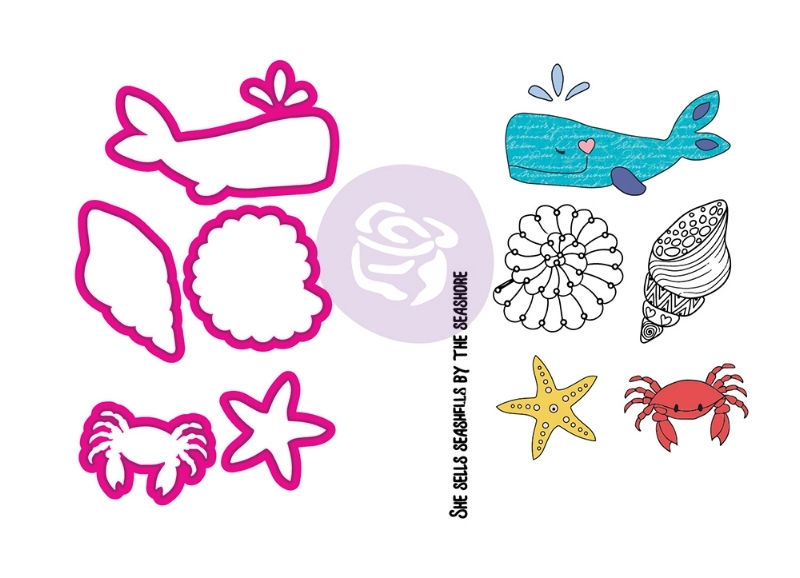 Have a beautiful day at the beach and make cute paper dolls! 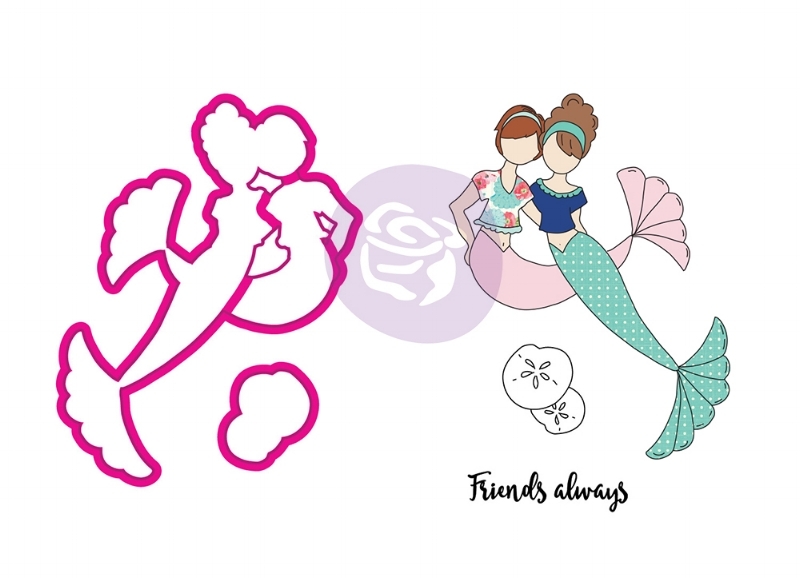 The newest collection from Julie Nutting, Mermaid Kisses, is the perfect collection for creating beautiful mermaids and other sea life! 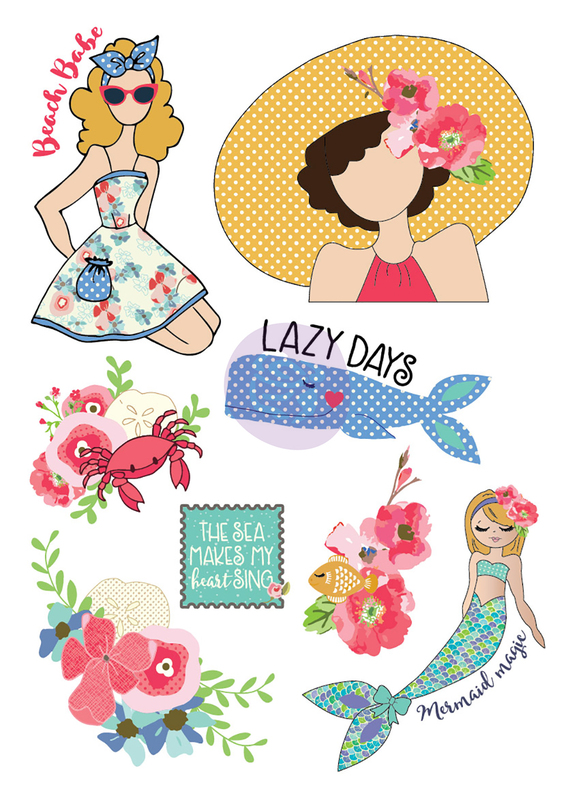 New papers, paper pads, stickers, ephemera, stamps + dies and iron-ons are featured in this sea-rific release! 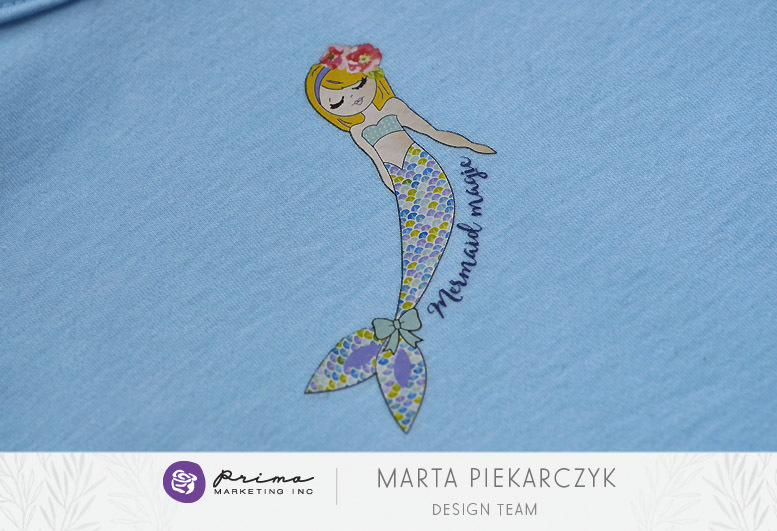 Sea Sally, my original mermaid, has been a favorite of everyone since her first appearance. I felt it was high time she had some companions! 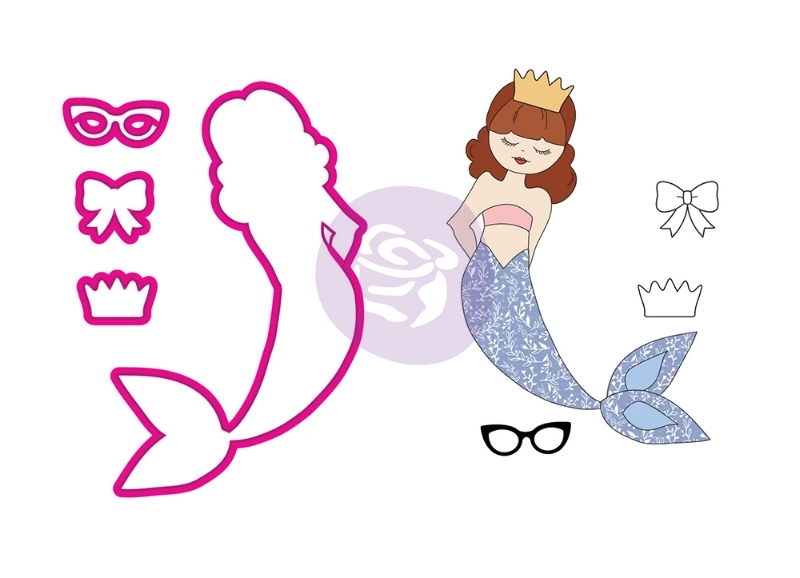 Not only do I bring you more mermaids, but there is a merbaby, and a beautiful girl named Shelly with her adorable clam shell dress. 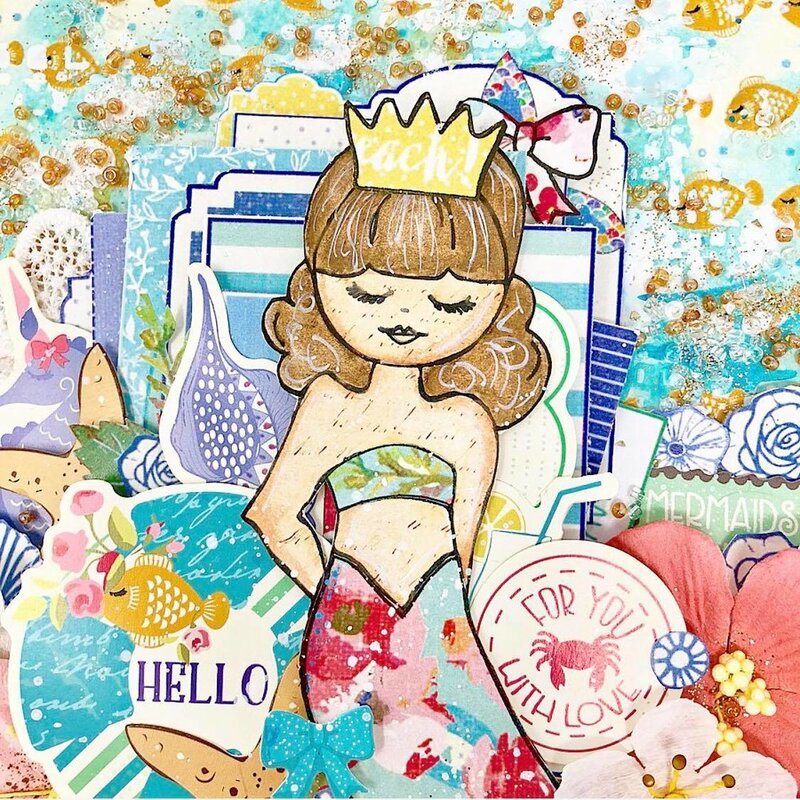 Being a California girl growing up with the beaches of Santa Cruz nearby, I have always had a soft spot for the ocean. Although I see the serenity it brings most, I mostly see the playfulness. 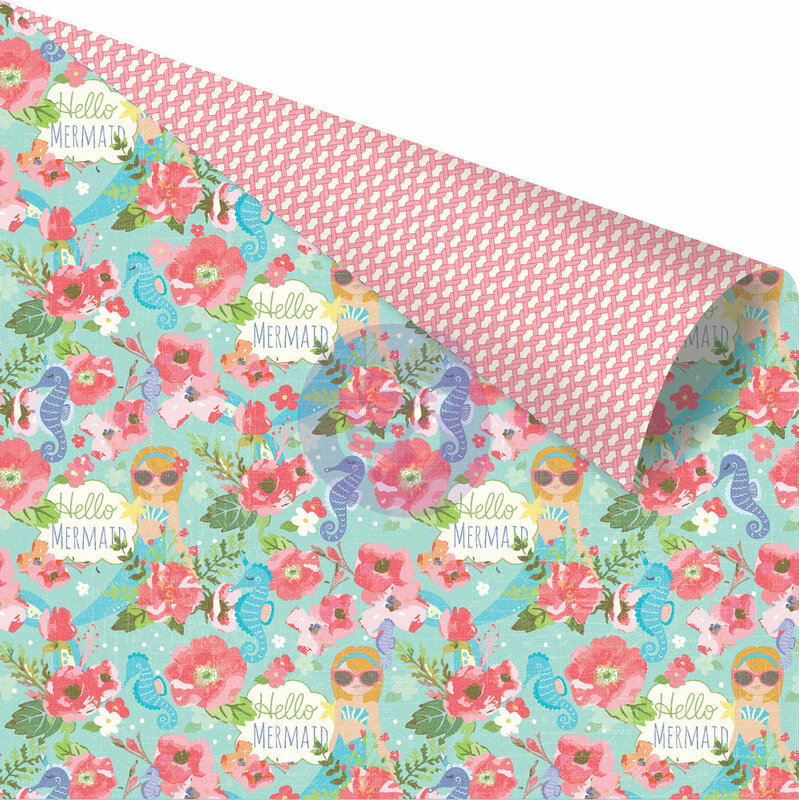 Six beautiful new, double-sided papers include a gorgeous summery color palette with floral, seaside imagery. 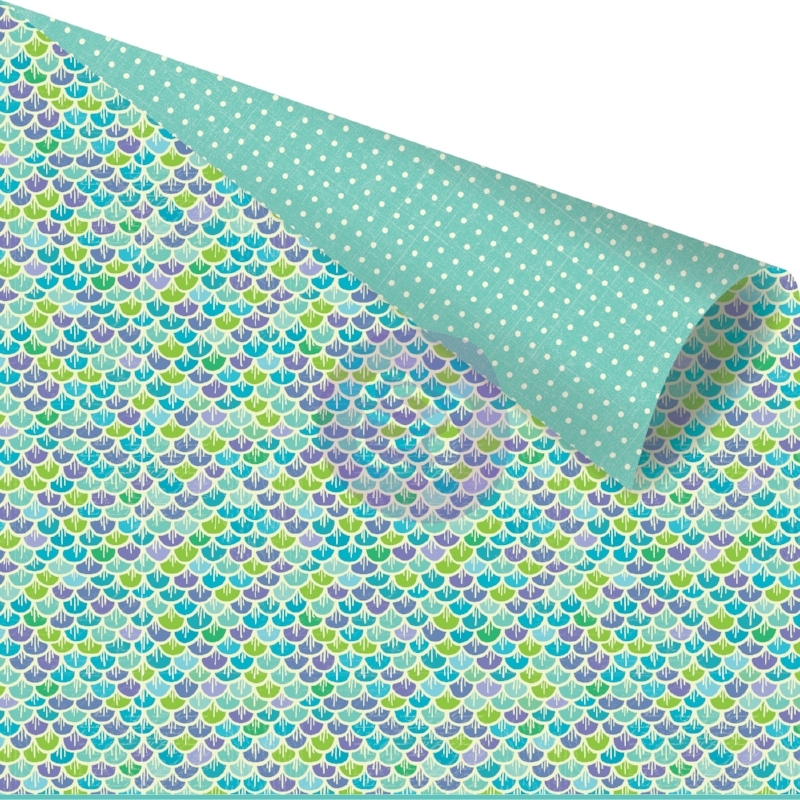 Also included are paper pads and wonderfully coordinated accessories! 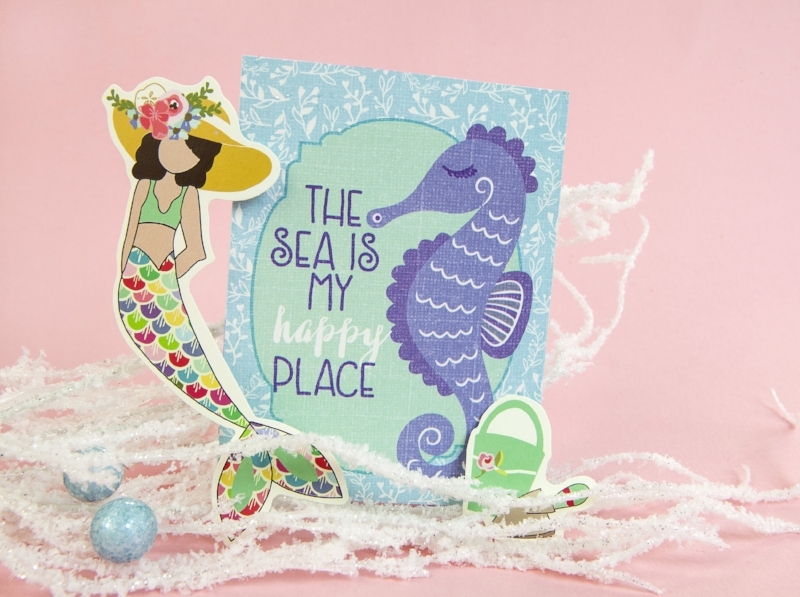 Six different mermaid stamp and die sets bring you a vast array of seaside fun! 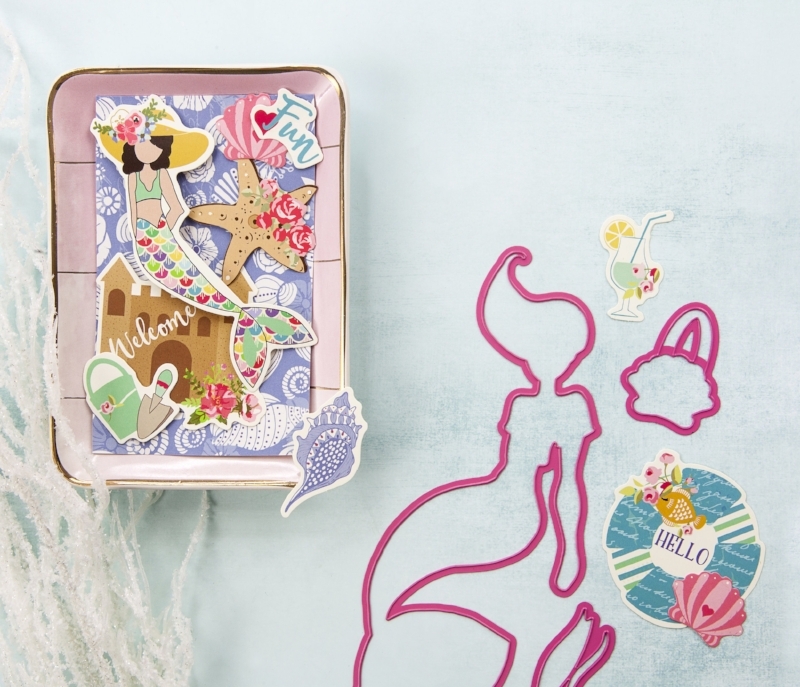 We also have a gorgeous project for each set created by Julie Nutting herself! 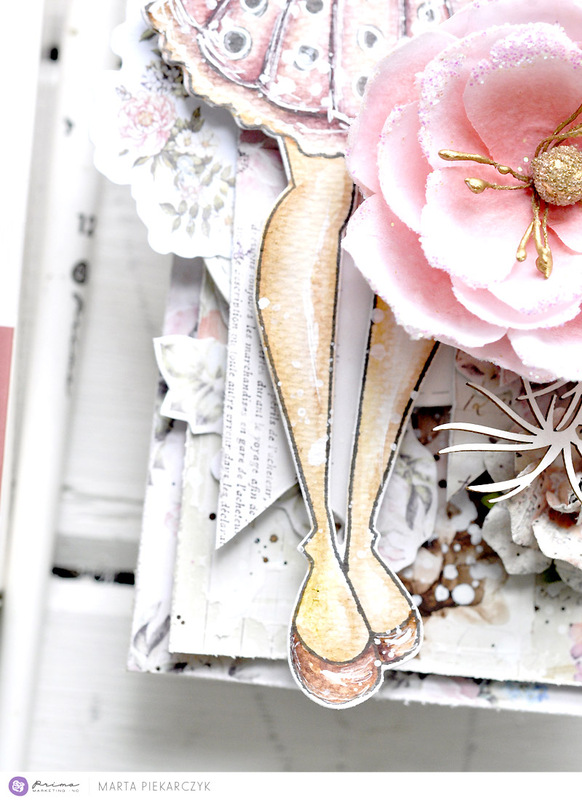 Iron-Ons are new for this release and offer so many crafty ideas! 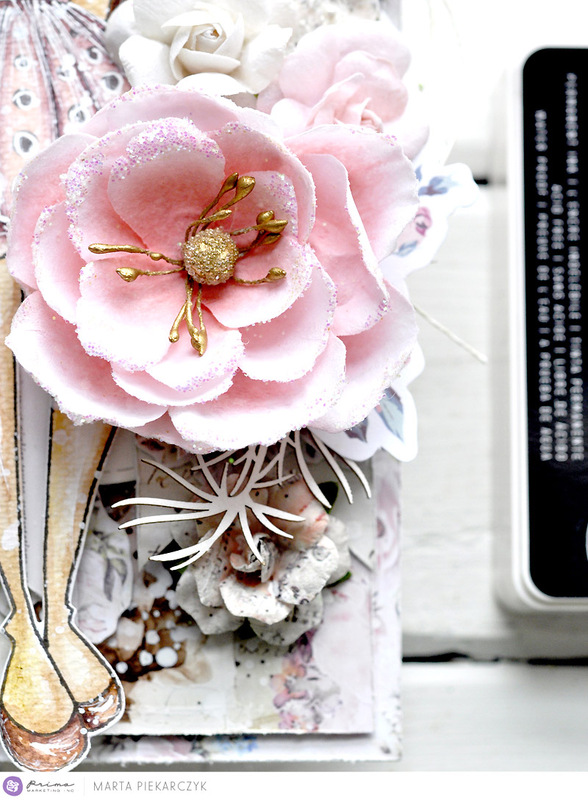 All you need is an iron and a little bit of creativity! 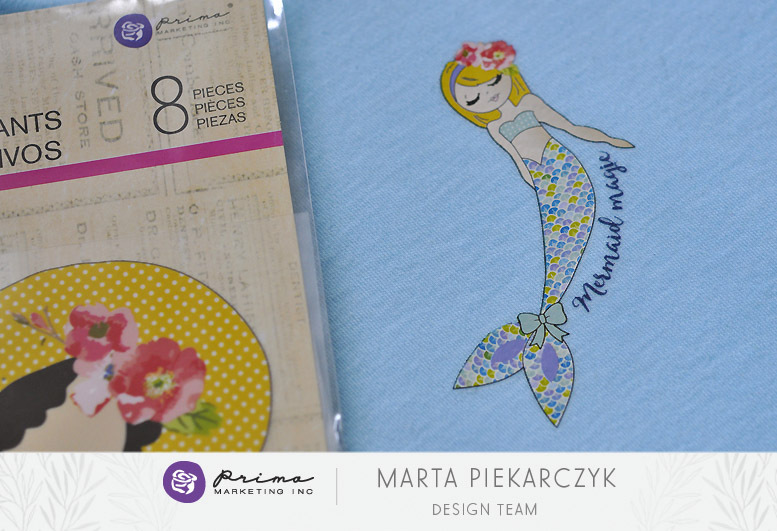 Julie added her iron-on to a pencil pouch, then spruced it up with bits and pieces of lace and trims. 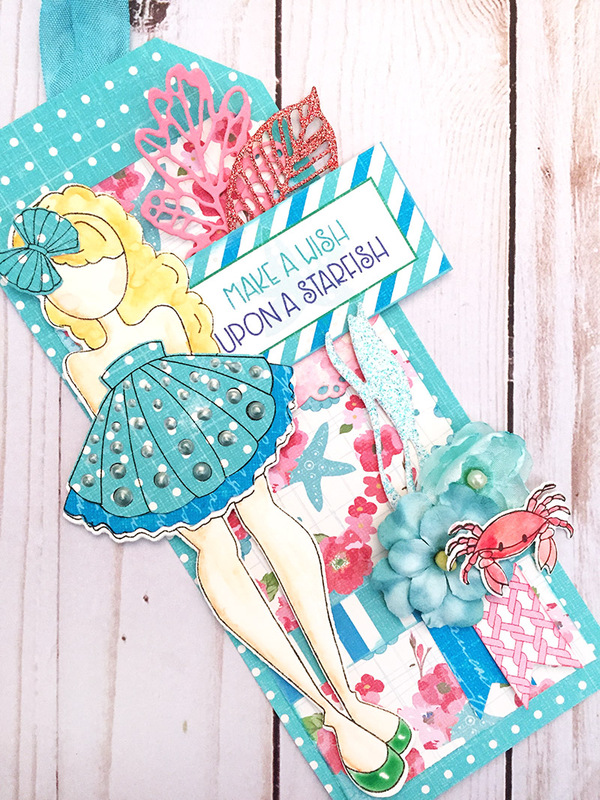 Julie's new products are so fun to play with! 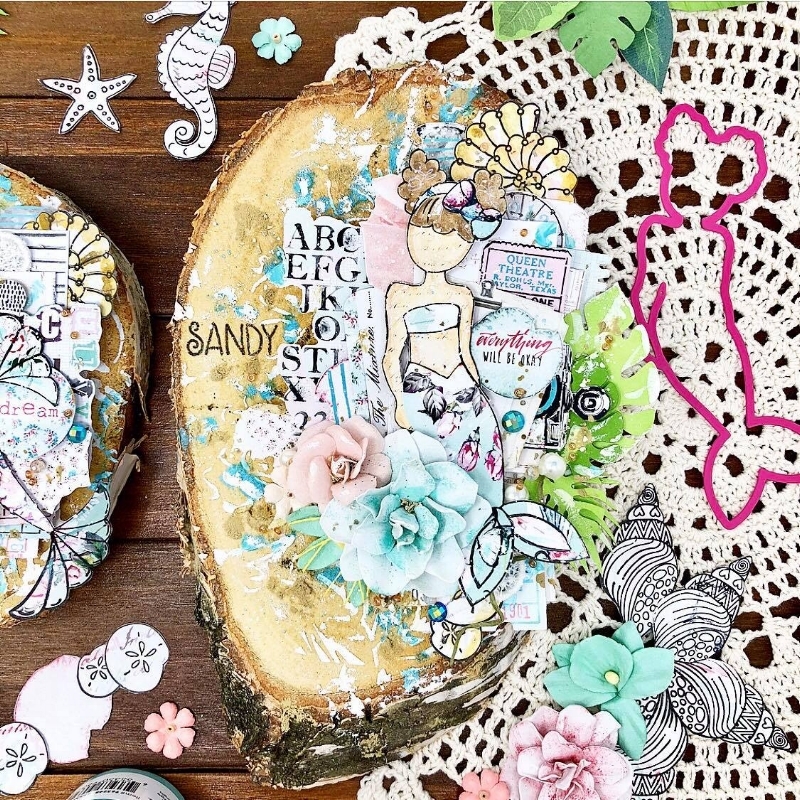 If you love stamping you will adore the six new sets. 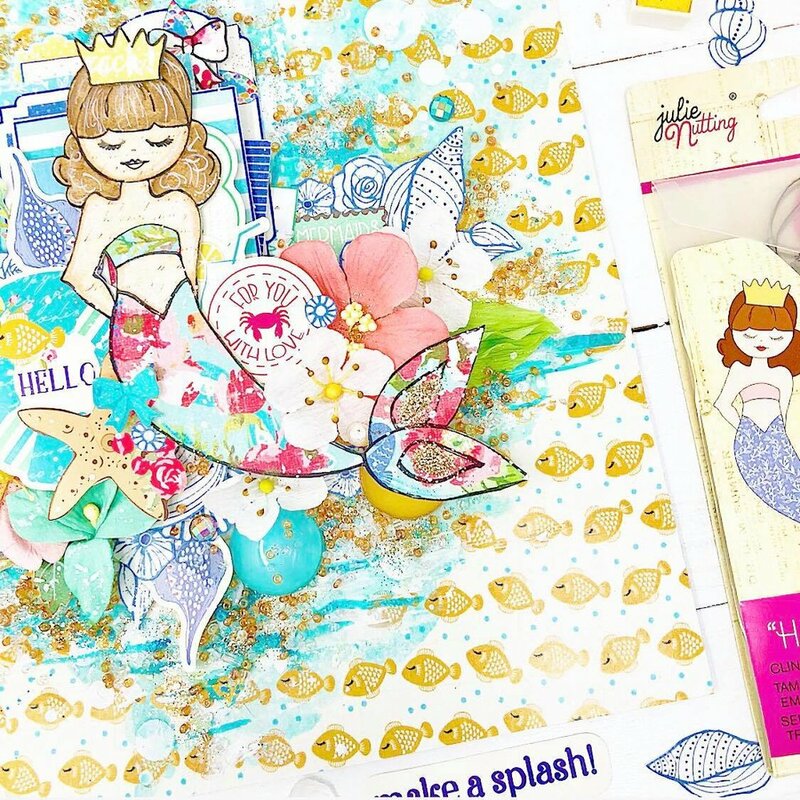 If you are not a stamper try the ephemera packs, which are loaded with cute mermaids, shells, and other seaside designs, to add to any project!